In Yugoslavia, Bosnia was home to heavy industry and some of the highest living standards in the country, but the turbulent 1990’s brought a war which wiped out 80% of production. After independence Bosnia and Herzegovina introduced a new currency that provided the stability to rebuild the economy successfully. Unfortunately the euro crisis took its toll on the country. Today the future of BiH, and that of the mark, is tied to the eurozone. The convertible mark was introduced in 1995 as part of the Dayton agreement which ended the three and a half year long Bosnian War (part of the Yugoslav Wars which tore through the Balkan states after the fall of the Soviet Union). However the currency did not begin circulating until 1998 when, in accordance with the agreement the mark replaced the Bosnia and Herzegovina dinar, Croatian kuna and Republika Srpska dinar (the currency of the short lived Republika Srpska, which is now a largely autonomous region of BiH), all of which circulated in regions of the country from 1992 – 1998. These currencies had themselves replaced the Yugoslav dinar which circulated from 1918 to 1992 in BiH, and until 2003 in Serbia before it was finally replaced for good by the Serbian dinar in that country. The currency took the name convertible mark, because it was at the time pegged to the German deutschmark. When Germany replaced the deutschmark with the euro, the Bosnia and Herzegovina convertible mark simply changed its peg from the deutschmark to the euro. The BAM is pegged to the euro at a rate of EUR 1 = BAM 1.95583. Historically the euro has exchanged favourably against the CAD and USD, though lags behind the GBP in terms of value. Recently, low growth, economic uncertainty, and political uncertainty caused by the Brexit vote and instability on the periphery of the eurozone (Russia’s annexing of Crimea, the refugee crisis, and a failed Turkish coup), combined with recent terrorist attacks in Belgium and France have hurt the value of the euro. The ECB has held interest rates low (with no sign of an increase anytime soon) and maintained a substantial program of quantitative easing which has added liquidity to European banks. Since gaining independence Bosnia and Herzegovina has been faced with the difficult task of liberalising its economy, and rebuilding the country. Bosnia and Herzegovina had a strong industrial sector under Tito’s rule and Sarajevo had one of the highest income levels in Yugoslavia, but the war took a toll on the country. Between 1992 and 1995 production fell by 80%. Output began to recover moderately after peace returned, but failed to reach pre-war levels, and began to taper off again in the early 2000s. The Central Bank was established in 1997, and thanks to the adoption of the convertible mark, inflation has remained low in the country since independence. Since 1994 more than €6.4 billion of foreign investment has entered the country, mostly from nearby Austria, Serbia, Croatia, and Slovenia. The majority of investment was made in the manufacturing and banking sectors. GDP growth has been hit hard by the eurozone crisis. BiH boasted growth of around 30% in 1997 and 1998, 10% in 1999, 5% in 2000, and a strong mid 2000’s level until the eurozone crisis hit in 2009 causing the country’s GDP to contract by 3.4%. Between 2010 and 2012 the country had growth of between negative 0.7% and +0.9%. According to the IMF however, the country managed to grow by 6.5% in 2013. Bosnia and Herzegovina’s economic fortune is tied to that of the eurozone. The crisis in 2009 brought the economy crashing down, but the country has recovered well. 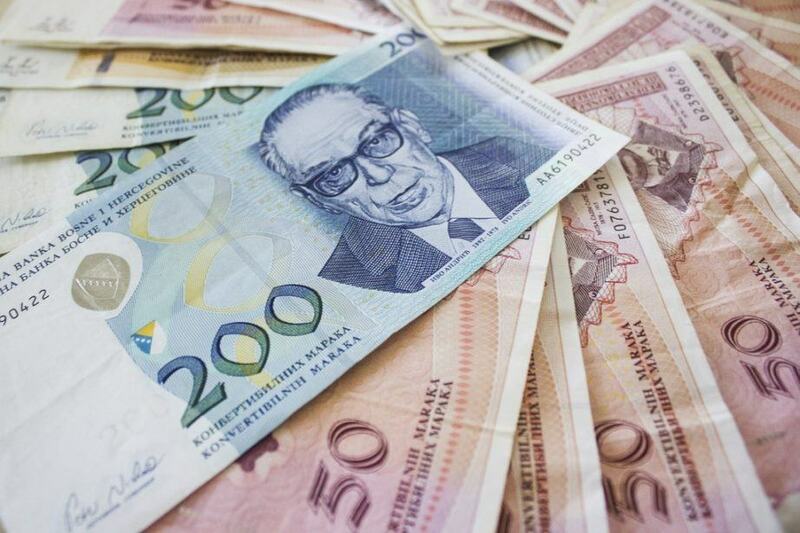 Contemporary issues in the eurozone could destabilize the BiH economy in the future. Learn more about Bosnia and Herzegovina with our Profile and Travel Guide!